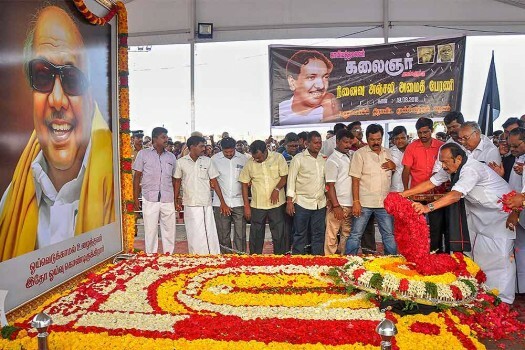 MDMK Chief Vaiko pays homage to late DMK chief M Karunanidhi at his memorial on Marina Beach, in Chennai. 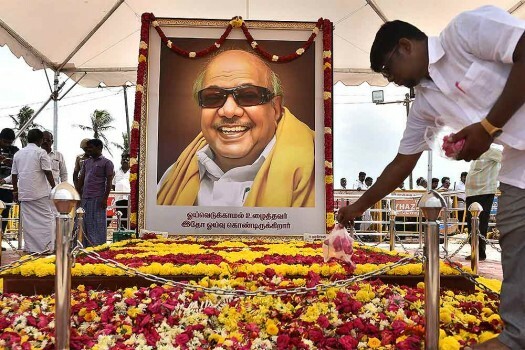 People pay homage to late DMK patriarch M Karunanidhi at his memorial on Marina Beach, in Chennai. 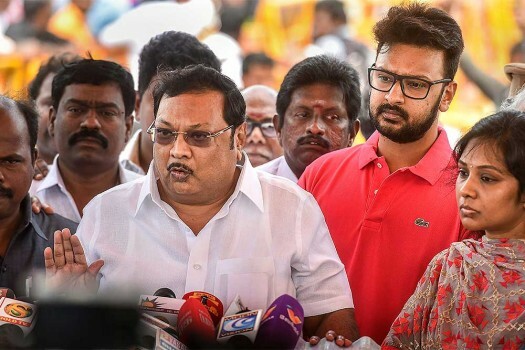 A visit to the leader’s resting place is a ritual for Tamil Nadu politicians before a major decision.